Saunders-Roe Limited was a British aero- and marine-engineering company based at Columbine Works East Cowes, Isle of Wight. The name was adopted in 1929 after Alliot Verdon Roe (see Avro) and John Lord took a controlling interest in the boat-builders S.E. Saunders. Prior to this (excepting for the Sopwith/Saunders Bat Boat) the products were Saunders, the A4 Medina for example dating from 1926. Sam Saunders the founder developed the Consuta material used in marine and aviation craft. Details can be found in the hardcover A Solent Flight by Ivor J. Hilliker. Saunders Roe, commonly abbreviated Saro, concentrated on producing flying-boats, but none were produced in very large quantities - the longest run being 31 Londons. They also produced hulls for the Blackburn Bluebird. During the Second World War Saro manufactured Supermarine Walrus and Supermarine Sea Otters. Their works at Beaumaris, Anglesey, modified and serviced Catalinas for the Royal Air Force. In January 1931 Flight magazine revealed that Whitehall Securities Corporation Limited, acquired a substantial holding in Saunders Roe. Whitehall Securities was already a large shareholder in Spartan Aircraft Ltd, of Southampton, and arising out of this investment Spartan was effectively merged into Saunders Roe. In 1938 Saunders-Roe undertook a re-organisation of the commercial and administrative sides of its business. First, the marine section, consisting of the shipyard and boat building business, was transferred to a new company, Saunders Shipyard, Ltd., all of the shares of which owned by Saunders-Roe, Ltd. Mr. C. Inglis was appointed shipyard manager. Secondly, the plywood section of the business carried on at the factory on Medina River was transferred to a new company, Saro Laminated Wood Products, Ltd., in consideration for a majority of the shares therein. Laminated. Wood Products, Ltd., which had marketed most of the plywood output, also merged its interests into the new company. Major Darwin, managing director, left the company. On the aircraft side of the business Mr. Broadsmith continued as director and general manager. All other senior posts in the executive staff remain unchanged. In 1952 they flew the prototype Princess, but the age of the flying-boat was over and the two further aircraft were completed but not flown. No further new seaplanes were produced here. Modification work on Short-built flying boats continued at Cowes until 1955. The last fixed-wing aircraft they built was experimental SR53 mixed-power interceptor. Saunders-Roe Ltd. with a Head Office in Osborne, East Cowes, Isle of Wight (I.O.W.) with works at Columbine I.O.W. and Southampton Airport. Saro Laminated Wood Products Ltd., Folly Works, Whippingham, I.O.W. Princess Air Transport Co. Ltd of Osborne I.O.W. with an office in London at 45 Parliament St. SW1. In 1959 it demonstrated the first practical hovercraft built under contract to the National Research Development Corporation to Christopher Cockerell's design, the SR.N1. In the same year Saro's helicopter and hovercraft interests were taken over by Westland Aircraft which continued the Skeeter family with the Scout and Wasp. In 1964 all the hovercraft businesses under Westland were merged with Vickers-Armstrong to form the British Hovercraft Corporation. This, in turn, was taken over by Westland and was renamed Westland Aerospace in 1985, and hovercraft production was reduced to nearly nothing until the advent of the AP1-88. The company produced sub contract work for Britten-Norman, produced composites and component parts for the aircraft industry, especially engine nacelles for many aircraft including the De Havilland Canada "Dash 8", the Lockheed Hercules, the British Aerospace Jetstream and parts for the McDonnell-Douglas MD-11. By the mid 1990s, over 60% of the world's production of turboprop nacelles took place in the East Cowes works. In 1994 Westland was taken over by GKN, and when GKN sold off its shares of Westland to form Agusta-Westland, it retained the East Cowes works, where it continues aircraft component design and production. Laird (Anglesey) Ltd was formed in 1968 and incorporated the Beaumaris and Llangefni factories of Saunders-Roe and the engineering business of Birkenhead shipbuilders Cammell Laird. Laird developed the Centaur, which was half Land Rover and half light tank. The company is now known as FAUN Municipal Vehicles Ltd.having been taken over yet again. Today, FAUN manufactures portable aluminium roadways and runways at Llangefni under its TRACKWAY brand. Saunders-Roe P.192 Queen - concept only for a 24 jet engine, 313 ft wingspan flying boat for P&O with accommodation for 1,000 passengers. The Rocket Development Division was formed in 1956 and the Rocket Test site at Highdown started functioning exactly one year later. It was this Division, in conjunction with the Royal Aircraft Establishment, that was responsible for the design, manufacture and static testing of the Black Knight Rocket, the first of which was successfully fired at Woomera, South Australia, on 7 September 1958. The Electronics Division was formed in 1948. Its progress was rapid and the Division also designed and manufactured such diverse specialist equipment as Analogue Computers, Control Simulators and a variety of Electronic Equipment and Electronic Test sets associated with Guided Weapons. When using strain gauges of the normal wire type in the dynamic testing of helicopter components, notably rotor blades, Saunders-Roe found that such a high proportion of the gauges were failing that development was considerably retarded. The Electronics Division was therefore asked to devise an improved gauge and, in collaboration with Messrs. Technograph Printed Circuits Ltd., produced the foil strain gauge. Early in aviation, it was difficult - if not impossible - to supply uninterrupted power in aircraft. This problem was solved by Saunders-Roe by putting an ionising gas (tritium; H) in small tubes. Tritium was discovered in 1934 by Lord Rutherford. The tubes ("Betalights") are made of borosilicate glass. The inside of the tubes is coated with a fluorescent powder, which glows as a result of the ionizing radiation of the tritium gas. Such a tube emits light for 15 years. Betalights were used to illuminate the flight instruments, exit signs and corridors of the aircraft produced by Saunders-Roe. When Saunders-Roe was acquired by Westland Helicopters production continued via Saunders-Roe Developments Ltd of North Hyde Road, Hayes, Middlesex (the former Fairey Aviation Head office). Betalight production was made independent under the name SRBT (Saunders-Roe Betalight Technology). A factory was established in Pembroke, Ontario, Canada, where tritium supplies are readily available. Today betalights are used in self luminaus escape-route signs, under the product name Betalux. 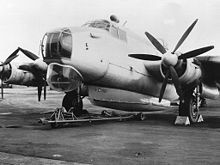 In early 1953, Saunders-Roe at Anglesey completed the Mark 3 airborne lifeboat to be fitted underneath the Avro Shackleton maritime reconnaissance aircraft. This model was made entirely of aluminium, previous marks being made of timber. Parachuted at a rate of 20 feet per second into the rescue zone, the craft was powered by a Vincent motorcycles HRD T5 15 hp engine; sails and a fishing kit were also provided. The Mark 3 measured 31 feet (9 m) from bow to stern and 7 feet (2 m) across the beam and held enough to supply 10 people with food and water for 14 days. During World War II, Saunders-Roe opened a factory at Fryars in Llanfaes, Anglesey, converting and maintaining Catalina flying boats. In the late 1940s and 1950s the Beaumaris factory began making bus bodies under the names Saunders, SEAS (Saunders Engineering & Shipbuilding) and SARO. When AEC took over Crossley Motors, many of the design staff left and joined SARO. In pre-Atlantean days when Leyland began looking at low floor vehicles, the "Low Loader" (STF 90) bodied by SARO was similar in certain respects to the Crossley chassisless bus designs. Bodies were manufactured at Beaumaris for installing on "Leyland Royal Tiger" and "Leyland Tiger Cub" chassis; SARO bodied 250 RTs for London Transport between 1948 and 1950 (RT 1152-1401), which were almost indistinguishable from the standard Weymann/Park Royal products; and some double-deck buses for Liverpool Corporation. 620 prefabricated Rivalloy (the brand name comes from rivetted (aluminium) alloy) single deck buses components for local assembly were sold to Autobuses Modernos SA, Cuba which later became Omnibus Metropolitanos, S.A. Another large customer was Auckland Regional Transport in New Zealand who took the Rivalloy body on 90 Daimler Freeline chassis.